This is my last minute dip for the Big Game. It is a little different than the usual corn dip. The twist is adding ranch dressing mix instead of taco seasoning. I'm snacking on it right now and it is delicious. Are you excited to see Beyonce perform? Is Destiny's Child going to surprise us? 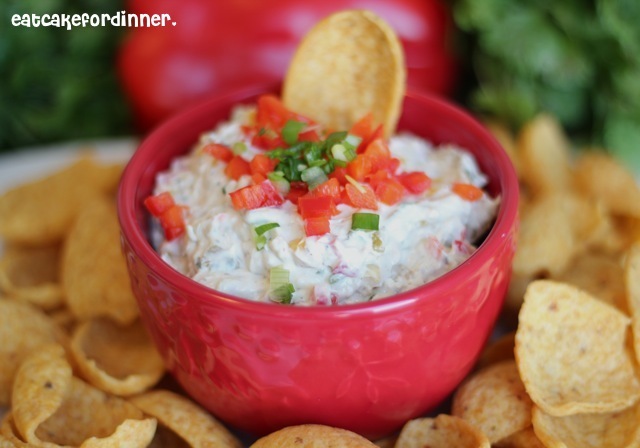 Stir together cream cheese and ranch dressing mix until smooth and fully combined. Add the chopped bell pepper, corn, diced green chiles and chopped green onions and stir until well mixed. Cover and refrigerate until ready to serve. 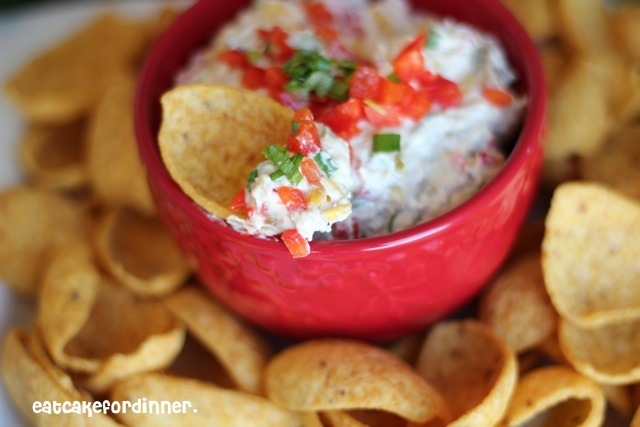 Serve with Fritos, tortilla chips or crackers. Jenn's Notes: I used 1/3 less fat cream cheese. I cut the above recipe in half and it is perfect for two people. What a great idea! I love the ranch idea! 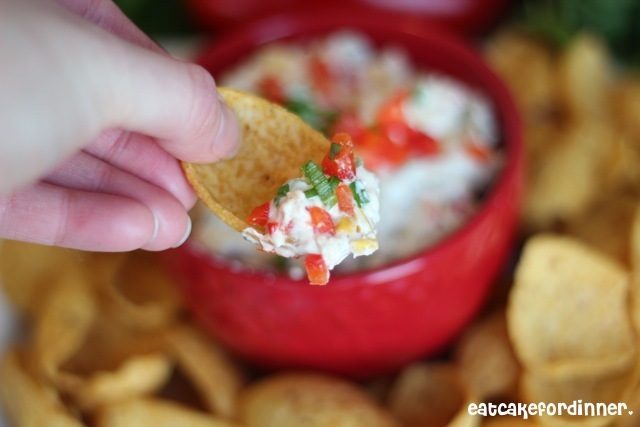 This dip looks great!! I wish I had some now...thanks for sharing this recipe! I need to remember it for future parties. This awesome combo looks perfect for the game! You can never go wrong with dip. I have never tried a dip I didn't love!!! this looks delish Jenn. Oh my GOSH this looks amazing. I had to pin it. Green chile and ranch are two of my favorite flavors. I would love to have you share this at my link party today. Hope you can make it! delicious! Can I eat JUST THIS for dinner? I'd love for you to come link this up at my Tuesday Time Out! Sure, I did! Thanks for the invite. I am going to try this dip. It looks really good and colorful too. Thanks for sharing!